. إن الخدمات التي يقدمها منتجع ميركيور كوينز تاون تضمن للنزلاء إقامة مريحة. لضمان راحة ضيوفه، يقدم الفندق الخدمات التالية: خدمة الغرف على مدار الساعة, مكتب الاستقبال على مدار الساعة, مرافق مخصصة لذوي الاحتياجات الخاصة, تخزين الأمتعة, واي فاي في المناطق العامة . تنعكس أجواء منتجع ميركيور كوينز تاون في غرف الضيوف.مناشف, سجاد, تلفزيون بشاشة مسطحة, بياضات, اتصال لاسلكي بالإنترنت هي بعض الميزات الموجود في العديد من الغرف. إن حوض استحمام ساخن, مركز للياقة البدنية, ساونا, حمام سباحة خارجي هو المكان الأمثل في الفندق للاسترخاء وتفريغ طاقتك بعد نهار طويل. إن منتجع ميركيور كوينز تاون هو خيارك لخدمة الفنادق الراقية في كوينز تاون. 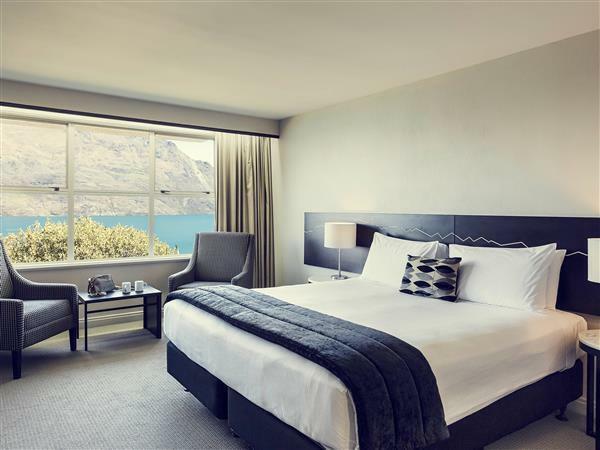 We really enjoyed the location of the hotel, above the lake and out of the hustle and bustle of Queenstown. The views of the lake from the restaurant and from our room were amazing. So were the views from the gym. The hotel has a guest laundry room, a swimming pool and is children friendly. Staff of the hotel were very friendly and helpful. We would have definitely stayed longer than one night if the hotel was not fully booked for Christmas. The staff went out of the way from the time we arrived to the time of checkout, they knew we were celebrating a birthday so went out of their way to make it a special time!! What amazing views from the hotel room and facilities! Room was very clean, tidy and had all the conveniences we required! Cant wait to stay again! A huge thank you to the staff! Great view of the lake! Fantastic view from your room, lobby, restaurants, gyms, sauna, swimming pool and even on the way to the elevator. Plenty of parking inside the hotel so you won't worry about crowed street parking or any damage to your hired car. Enjoyed our stay. Friendly frontline staff. Not impressed with the lifts. Small in size and rather old lifts. Should replace with new and efficient lifts. Cheap looking shampoo, conditioners and shower gel. Can do better with packaging. it was enjoyable! hotel was abit dated, but the room was really comfortable with a breathtaking view of the lake. breakfast was only okay although the view at the breakfast cafe was amazing. i would much hv rather gone to the city centre to get food. Our stay was definitely good and comfortable. We were so amazed by the view the moment we stepped in the room. It's worth the money. We feel safe and comfortable throughout our stay. The only thing is the free wifi is only valid for 30 minutes. 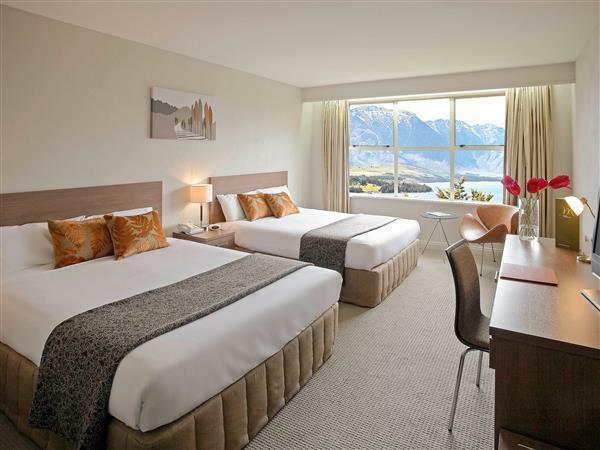 Cheap clean hotel compared to others in Queenstown. The view is the most important reason I choose this, because the room faces directly to the lake. Magnificient. The bus stops right in front of the hotel's entrance, which means perfect convenience. The hotel is clean, functional. I especially like the bed, which is comfortable. Would recommend this if you want a quiet good view of the lake away from the bustling city but the place isn't far from the scene by convenient public transport. Too sad they don't have free WiFi. The mecure was a short distance from town but wasn't an issue for us as we had a car. There was a bus service running from the front door fairy often anyway. Room was good size with a comfortable king size bed and good pillows. The views from the lakeview rooms were amazing as were the rooms from the restaurant. The service was great, all the staff were nice and welcoming. The price for our room made this great value for money. Good location with nice view and free parking. The room is clean, thanks for housekeeper (Oli) always looked after our room. Dissapointed with the pool and spa under renovation so we can't swam with my kid but last day stayed has been reopen. Also only has 6 channels in room??? Very bored. Not worth it for us long stayed 7 days. Restaurant with perfect view but unfortunatelly menu need more range of options. The lake view is awesome. Room is large. Bathroom is old fashioned. I dont know in two rooms that i booked, i smelled gas leak in the bathroom. Wifi is free only for one day, cause they will subrscribe your email thingy. Must thank the warmth hospitality of the 2 front desk staff (Nepalese & Chilean) & Argentinian buttler too. Room view was awesome. Greeted by 2 fantastic front desk male staff & helped by a friendly & helpful Argentinian buttler. Room view was awesome. Facilities in room were impeccable & hi-tech. Enjoyed thoroughly our stay here & wished could have stayed longer for several more nights. Thank you mgmt & staff. Would highly recommend to friends & relatives. Loved staying at the Mercure and would stay here again. We had the lake view room which was amazing and awesome to wake up to every morning. All of the staff were super friendly, professional and very helpful with any questions that we had. Hotel is less than a 5 minute drive to town so we were nice and close to everything. We had made a last minute booking the morning of our check-in; and the staff were very helpful and patient in processing the booking. They also offered us an upgrade with the most beautiful lake view. The room itself was spacious and very comfortable. Highly recommend this hotel. We got this lake front room, it was just stunning. It would be more beautiful during winter. One down side, the room service needs to improve. We stayed 5 nights there, they didn't leave us any bathroom gel and shampoo after they cleaned, I have to ask for it. Overall, it was a great stay for the view. First and foremost, it has an outstanding location in town. Not located in the town centre but it is not very far from it. 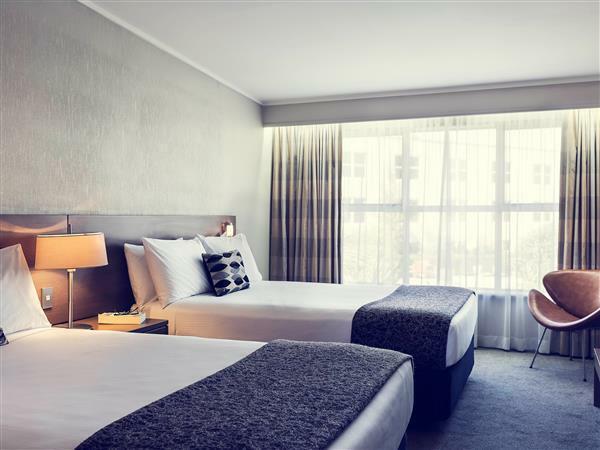 You will not regret its lakeview rooms and the cleanliness of the surroundings. Thank you very much for the wonderful experience. We will definitely come back! The hotel is located on the uphill and it's quite far to walk to Queenstown. Alternatively, you can take the public bus in front of the hotel. Staffs are very friendly and helpful. Room is clean, spacious and a great lake view. We booked lake view rooms. In the morning, we stunned by such beautiful lake view and snow mountain when pulled aside the curtain. The room was clean but a little old-fashioned. But the view made it worth. This was a perfectly passable hotel insofar as amenities and comfort are concerned. The view is spectacular, although at a price. Mercure is situated a little ways outside of the town center and is quite a ways up the hill. This improves the wonderful view and the remoteness makes the Mercure quieter than the town center, which is a bit louder and full of adrenaline-high or drunk younger folks. Accessing the town is a little more difficult though. You can drive there, but parking isn't always super easy, or you can walk, but the climb is significant and it'll take about 30 minutes. This suited me just fine, but it's something to be aware of when booking. The quality/price ratio was actually pretty good, regardless. I paid the same for a lot worse accommodations elsewhere in New Zealand. Staying in this hotel for 4 nights were great. The room was clean, spacious and very comfort with two double beds. The view from our room was great. 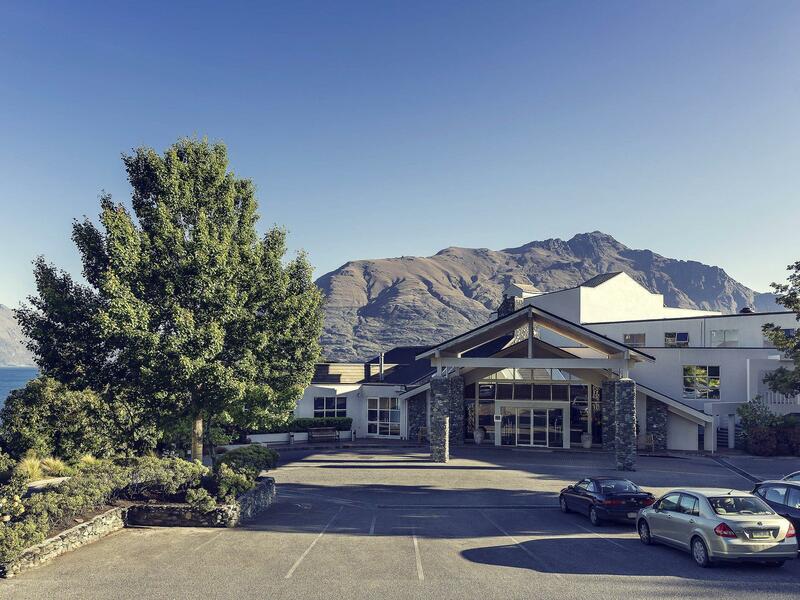 The hotel staff were very helpfull and they could provide you all the informations about Queenstown and they were very glad to do so. Wish that we could be back to NZ soon.